Health and Fitness Den: Comparing Nautilus MY18 R618 versus Nautilus MY18 R616 Recumbent Bike, What's the Difference? 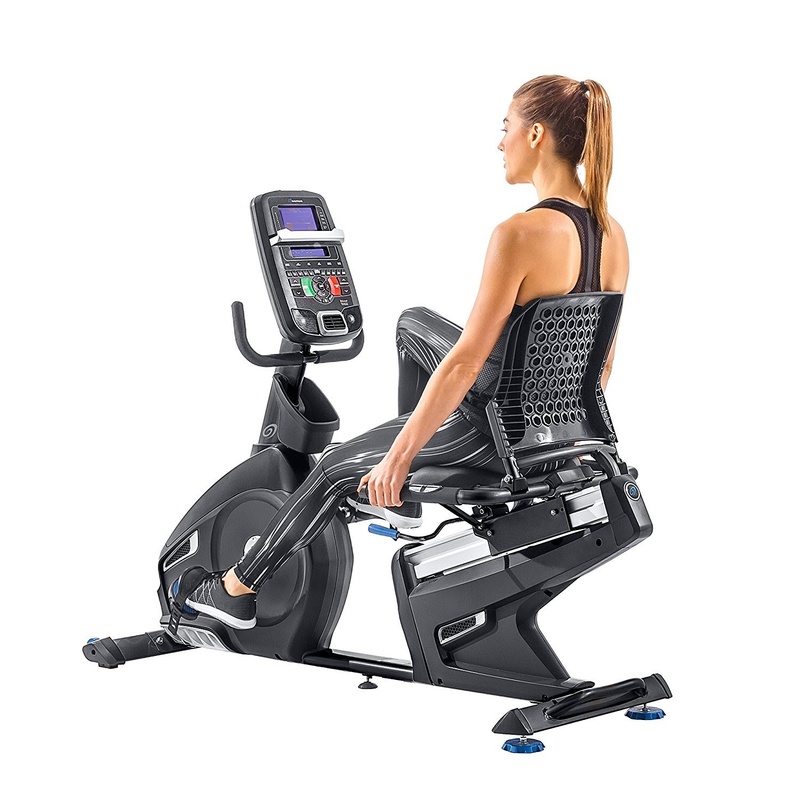 The Nautilus MY18 R618 and Nautilus MY18 R616 are both high-quality recumbent bikes, combining ergonomic comforts and a wide range of features to keep your workouts motivating and challenging. However, the Nautilus MY18 R616 is still an impressive recumbent bike, with many of the same features of the higher more expensive model. 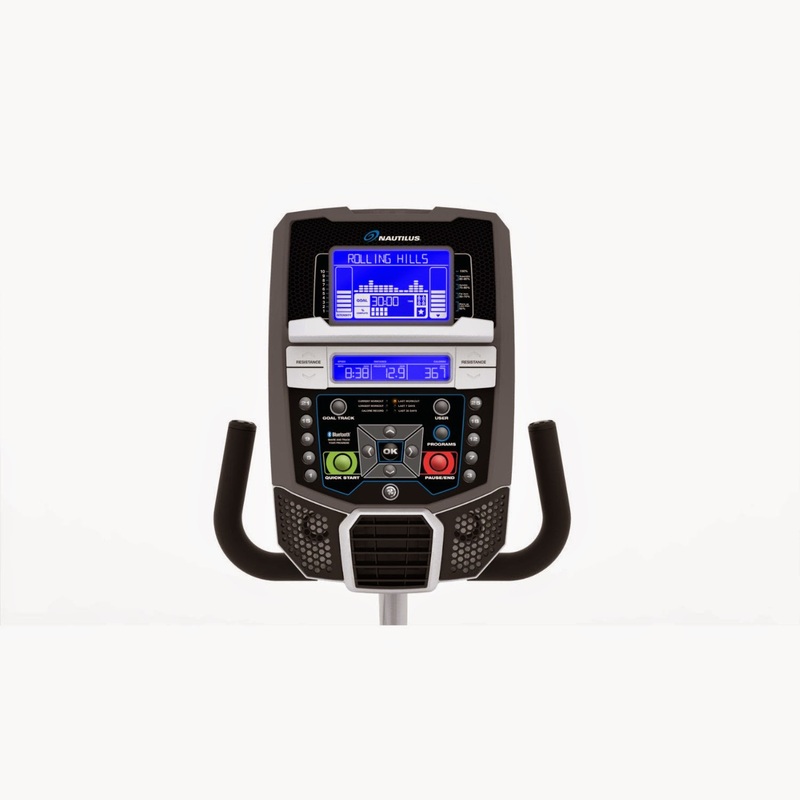 If you’re not looking to perform intensive training, then the R616 is ideal for you and offers the same amount of programs (29) and resistance levels (25) as the R618 to keep your workouts varied and progressively challenging. 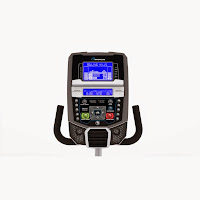 The Nautilus MY18 R618’s console is considered to be the best in the fitness industry, but the R616’s is still a very good console and incorporates many of the same features as the R618 such as Dual Track blue backlit screens (2 displays), Bluetooth connectivity for data transfer to online fitness tracking apps, 4 user profiles, USB charging port, speakers with MP3 input, media shelf, and 3-speed cooling fan. 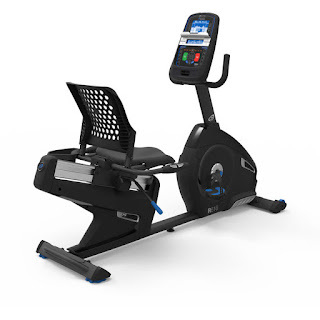 Both the Nautilus MY18 R618 and Nautilus MY18 R616 Recumbent Bikes offer both contact pulse and telemetry heart rate monitoring to help ensure you stay within your target heart rate zone as you exercise. 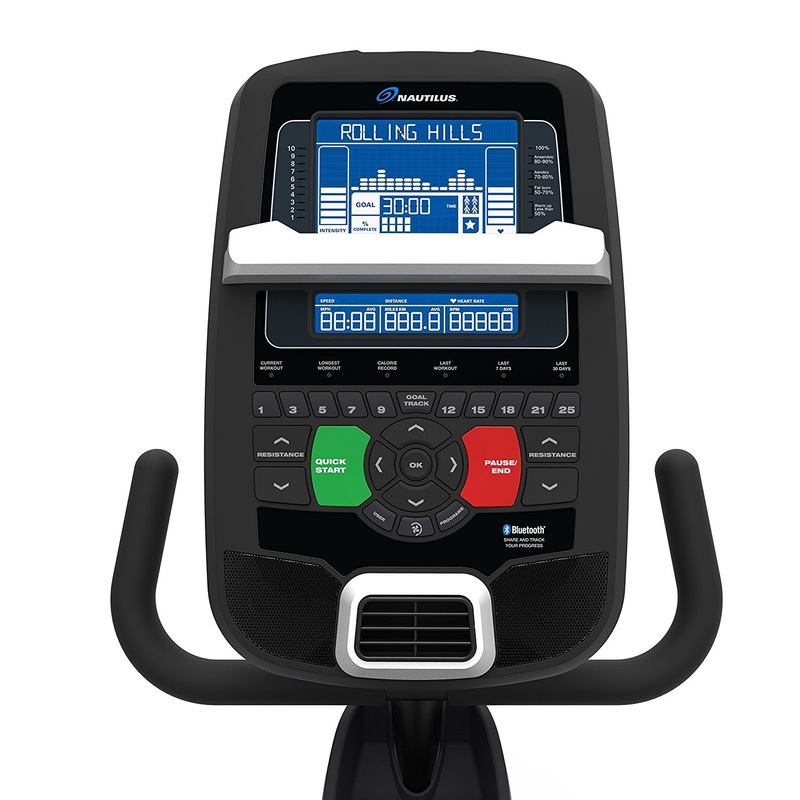 Besides heart-rate stats, other workout stats displayed on the console’s screens include time, speed, distance and calories burned. 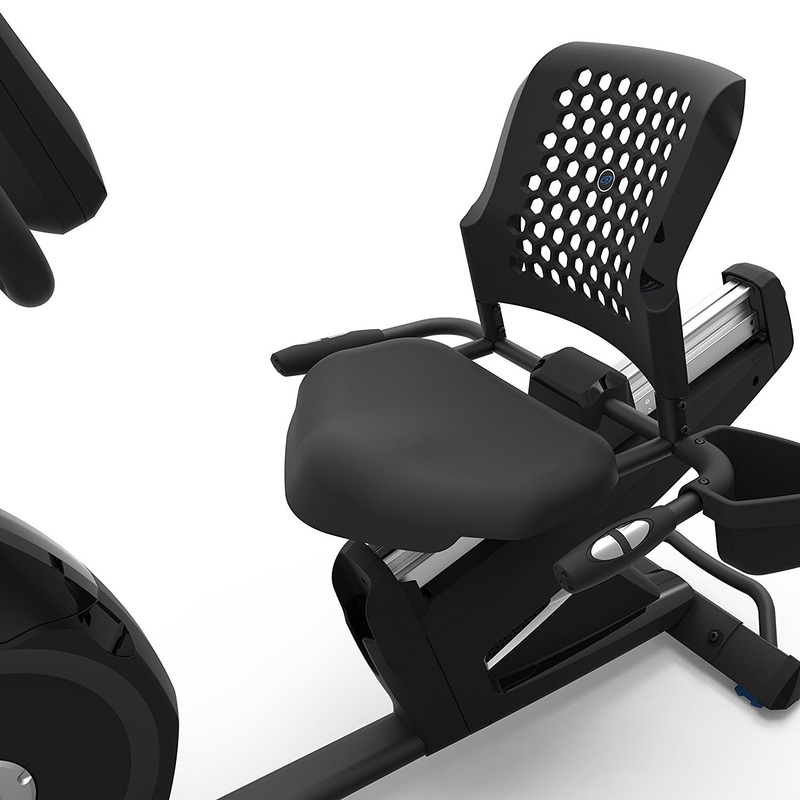 Both the Nautilus MY18 R618 and Nautilus MY18 R616 Recumbent Bikes are constructed with a low step-through frame design for easy mounting and dismounting. 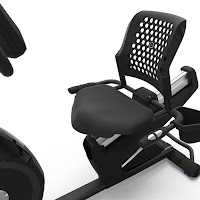 Although the seat design differs between the two bikes, both seats are ergonomically designed for user comfort and sit on a sliding seat rail system with an easy-to-use adjustment lever to adjust the seat’s height and proximity to the pedals to get the best fit for individual users. Look at the pictures of the seats and you’ll see the difference in design between these two bikes. The Nautilus MY18 R618 has a gel cushioned base whereas the Nautilus MY18 R616 has a padded base. 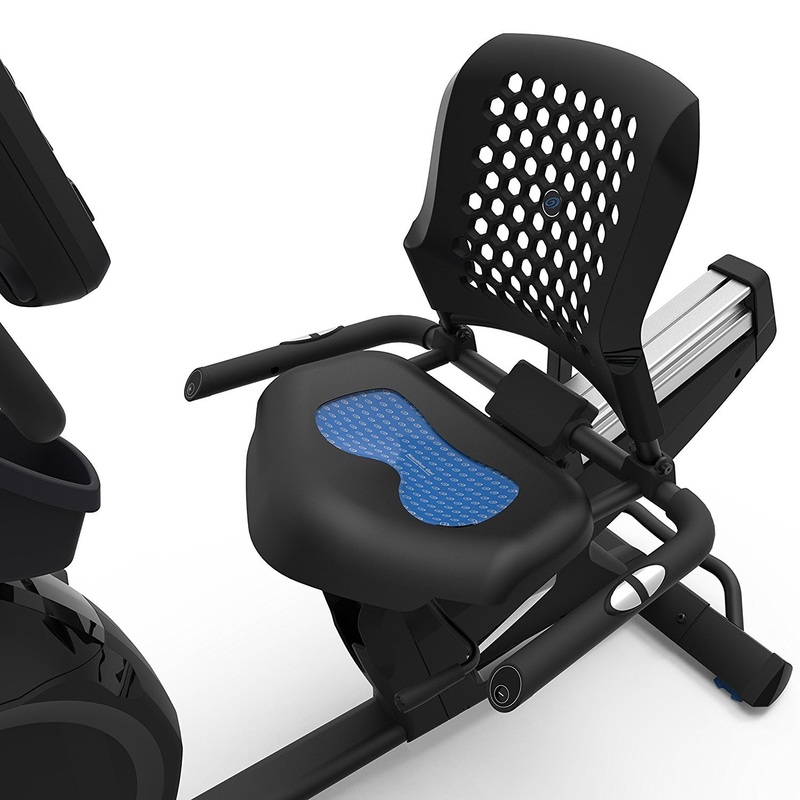 Both seats have a ventilated backrest that helps with airflow as you exercise and gives added welcome support to your back as you cycle. Both the Nautilus MY18 R618 and Nautilus MY18 R616 Recumbent Bikes come with a handy water bottle holder but the placement of the water bottle holder differs between these two bikes with the R618’s water bottle located on the frame underneath the console while the R616’s water bottle holder is located by the side of the seat. Both the Nautilus MY18 R618 and Nautilus MY18 R616 Recumbent Bikes are sturdily constructed with oversized crossbar tubing, center-support and integrated levelers for added stability. The Nautilus MY18 R618 allows for a slight higher user weight capacity of up to 325 lbs compared to the Nautilus MY18 R616’s 300 lbs weight capacity. 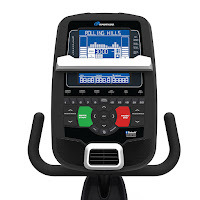 To reflect the long lasting durability of these recumbent bikes, the Nautilus MY18 R618 and Nautilus MY18 R616 both come with generous manufacturer’s warranties but as you would expect, the higher-end Nautilus MY18 R618 comes with a longer warranty of 15 years on frame, 3 years on parts/electronics and 1 year labor compared to the Nautilus MY18 R616’s warranty of 10 years on frame, 2 years on parts, 1 year on electronics and 90 days labor.